Decentralized coordination is of major importance in today’s production and logistics networks and subject to current supply chain management (SCM) research. 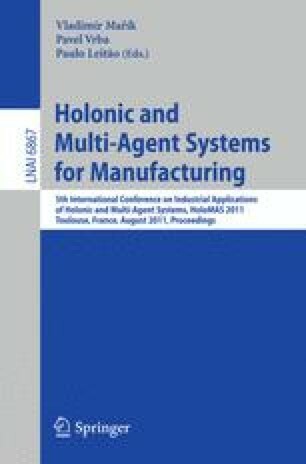 This paper presents a multi-agent based framework in this research context that allows modeling and evaluating decentralized coordination mechanisms in heterarchical supply chains. The motivation, idea and architecture of the framework are presented. A concrete application of this framework is demonstrated by means of modeling and evaluating a current approach to decentralized coordination from SCM research. The focus of the paper lies on the modeling component of the framework.